“Fanedits” are one of the newer trends in cinema. It’s when amateurs attempt to edit a film, in an attempt to achieve what they believe is perfection. Their legality is sketchy as is their typical distribution. I encountered the strangest fanedit by accident. I had received a bargain-bin DVD copy of Pearl Harbor. Since I had never seen it, I eventually decided to view the DVD. It was a 2-disc set, but one of the discs was missing. I figured it must have been the special features. I was very impressed with the film, instantly captivated by a very interesting cold opening, intrigued by the chosen timeline for the film, and the general pacing and structure felt very, very different and definitely refreshing! I didn’t realize the disc clearly said “Disc 2”, and I was in fact watching the second half of the film like an idiot. 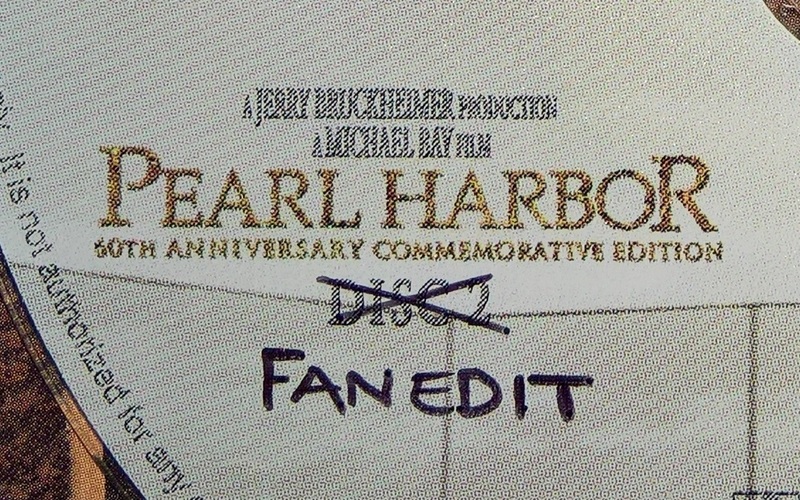 My final analysis is that Pearl-Harbor-the-DVD-Part-2 can actually be viewed as a self-contained film. As for references to things in the first half of the film, they generally turn out to be better when you imagine what happened, or speculate what they might be talking about. 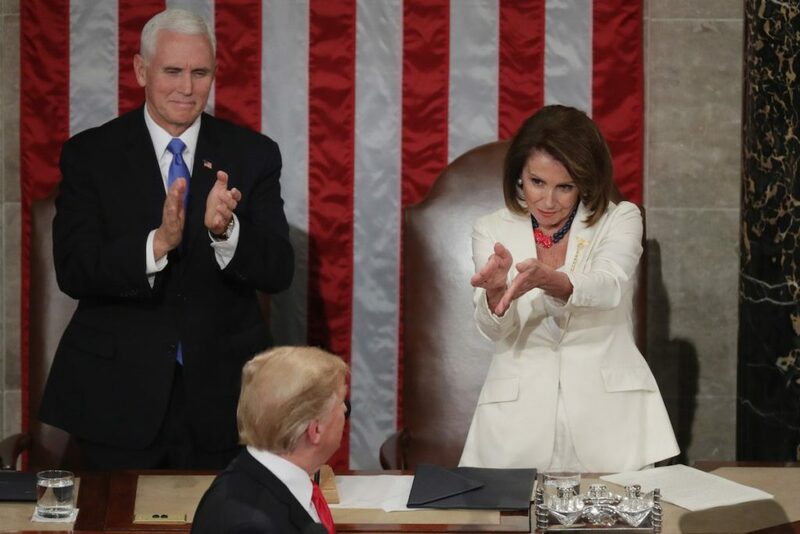 Of course, due to time constraints, it’s a common occurrence in films anyway – so in this case you don’t even realize there’s something strange going on. 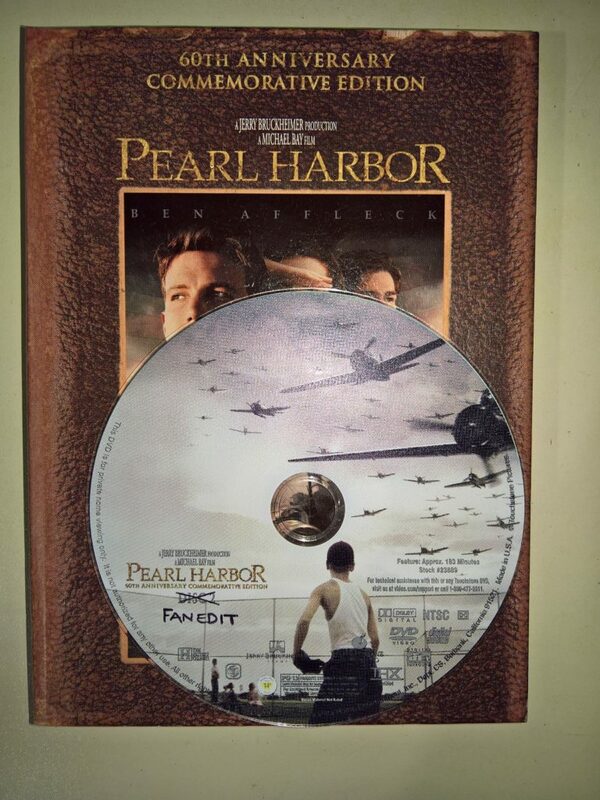 Pearl-Harbor-the-DVD-Part-2 is better than Pearl-Harbor-the-DVD-Part-1 . More surprisingly, it’s also better than Pearl-Harbor-the-DVD-Part-1-and-Part-2! I don’t claim it’s perfect, but I do claim it’s better. Much better, in fact. 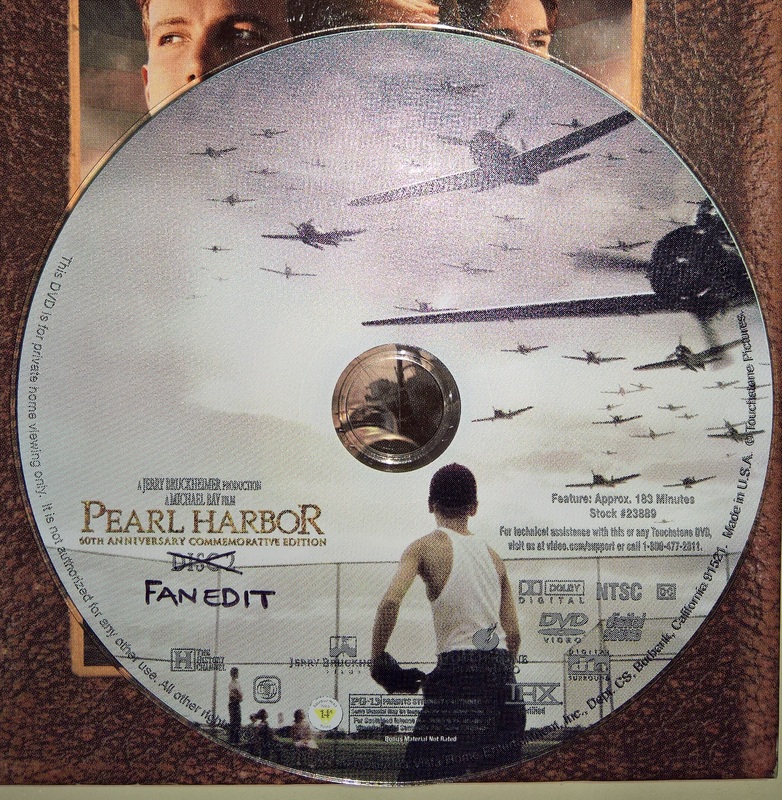 Throw away the first disc, and you have the ultimate Pearl Harbor fanedit. If you’ve never seen Pearl Harbor, you’re the next-to-perfect test subject. (In this case the perfect test subject would be completely unaware of what’s going on.) Watch the second half of the film and see for yourself. Can something more useful than a random film review be gleaned from this? Yes, I believe so. Sometimes, superior quality and solutions can be found in the strangest places. Never close the door on brainstorming methods or approaches. You never know what you’ll find. And sometimes a lack of awareness can open the mind, when otherwise it might be gridlocked with conventional thinking.